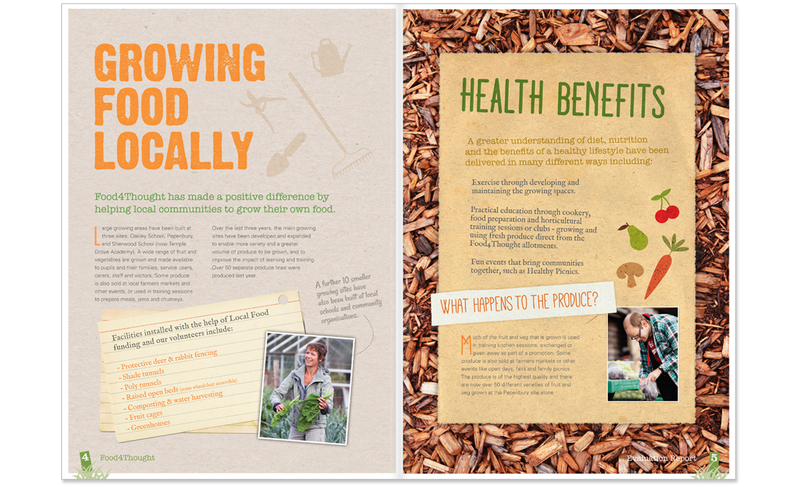 Impact report to secure continued funding for a programme that encourages healthy eating. Responsible for: copywriting, art direction and creative direction. 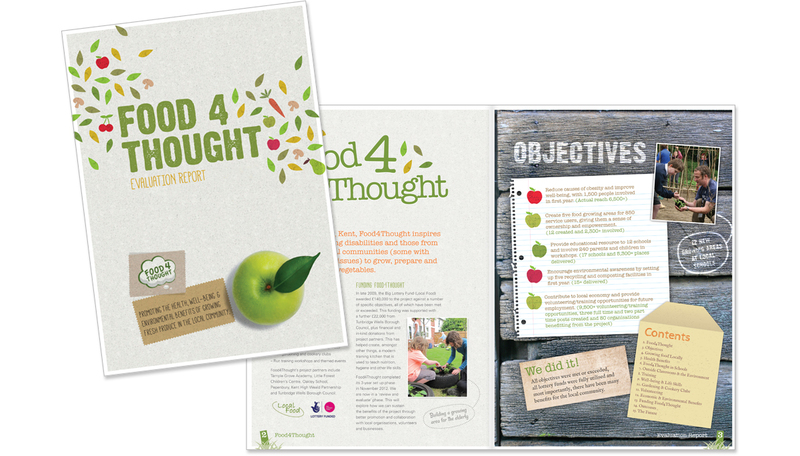 Food for Thought – Copywriter, art director and creative director. 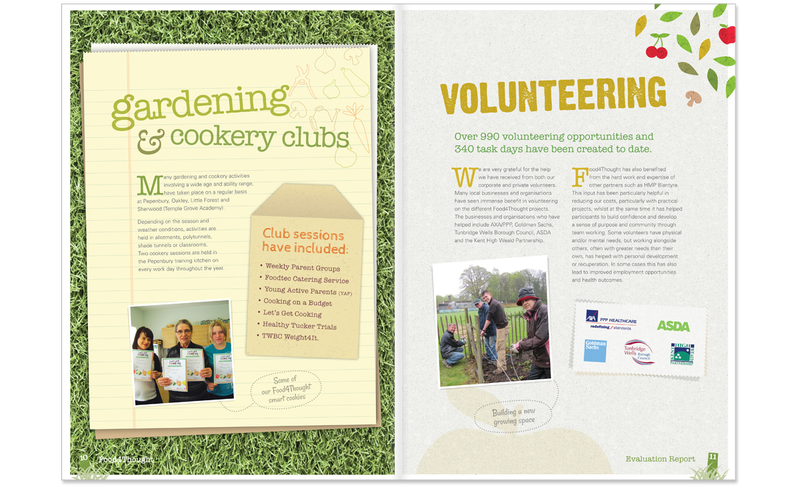 This lottery-funded programme inspires people with learning difficulties and those from disadvantaged communities to grow and eat fresh fruit and vegetables. 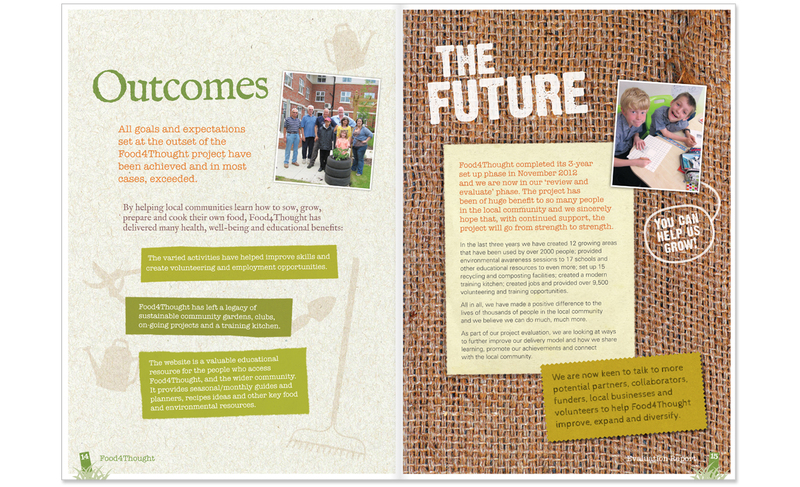 The phase 1 evaluation report ‘scrap book’ brought the service users’ journey to life to demonstrate impact and secure continued funding. Copywriter, art director and creative director.